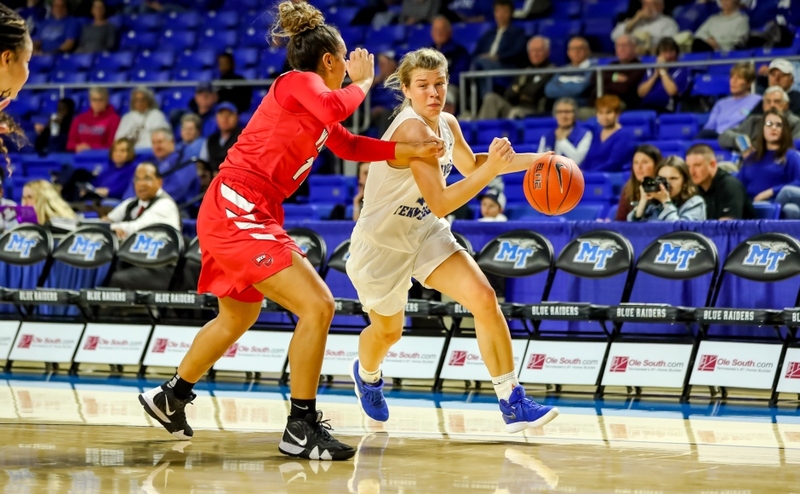 The Middle Tennessee Lady Raiders impressed in every facet of the game Thursday night in their final exhibition matchup the Truett McConnell Bears. 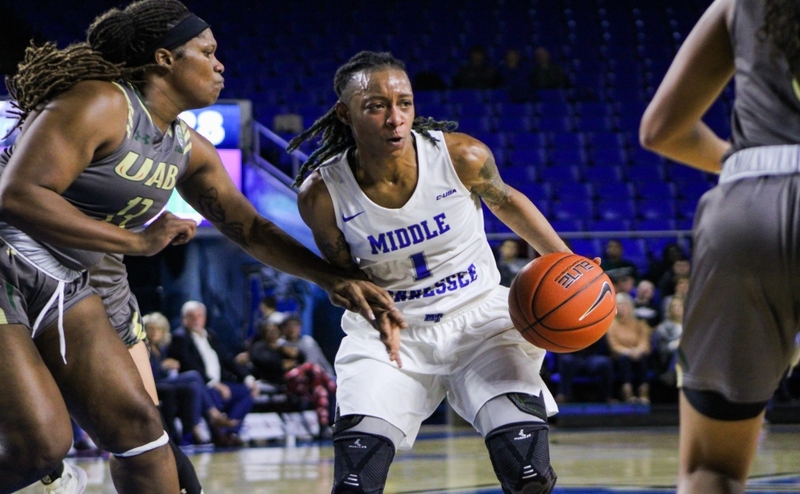 MTSU dominated physically on both ends of the court, clearing the bench in tune to a 125-35 victory. Wasting no time after tip-off, the Blue Raiders got out to an early 14-0 lead behind the perimeter shooting of Katie Collier and Abbey Sissom. MTSU kept their sharp shooting going throughout the remainder of the quarter where they held a 25-7 lead after 10 minutes. Jess Louro played sparingly in the first quarter, but immediately made contributions in the second quarter with four straight three pointers after coming off the bench. Louro ended the night with 19 points, going 6-of-7 from deep range and gaining a lot of confidence in the process. 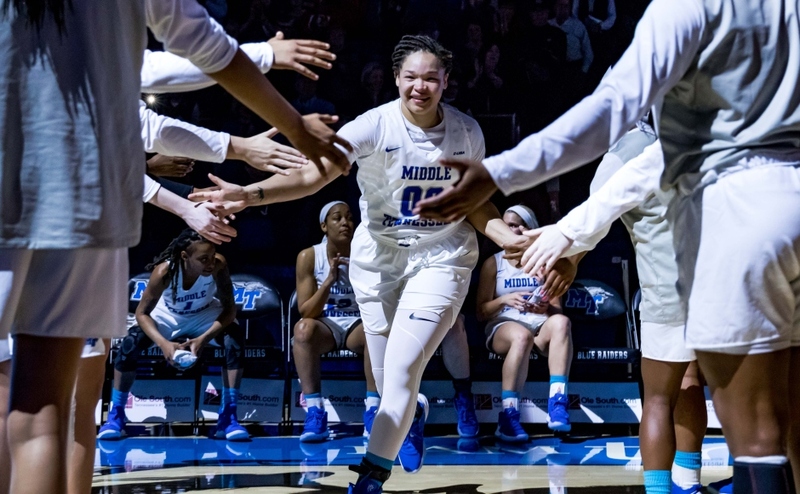 Overall, the MTSU bench accounted for 66 of the total points scored on Thursday. Going forward, the team could use their bench to their advantage as there isn’t a drop-off in the level of competitiveness. The Lady Raider’s showed aggression all night long on defense. The team was able to force the Bears into 18 turnovers by halftime, giving them four more points than they scored in the first half (14). Leading by 57 points heading into the third quarter, many newcomers were able to see significant action. First year Lady Raider forward Charity Savage led the way for the highly touted freshman crew. Savage was 6-0f-8 from the field. scoring a total of 15 points. Kyla Allison also impressed fans in her second collegiate game scoring 12 points and grabbing six boards. Heading into the regular season, head coach Rick Insell feels confident in his young players. “I’m pretty happy right now to be honest. 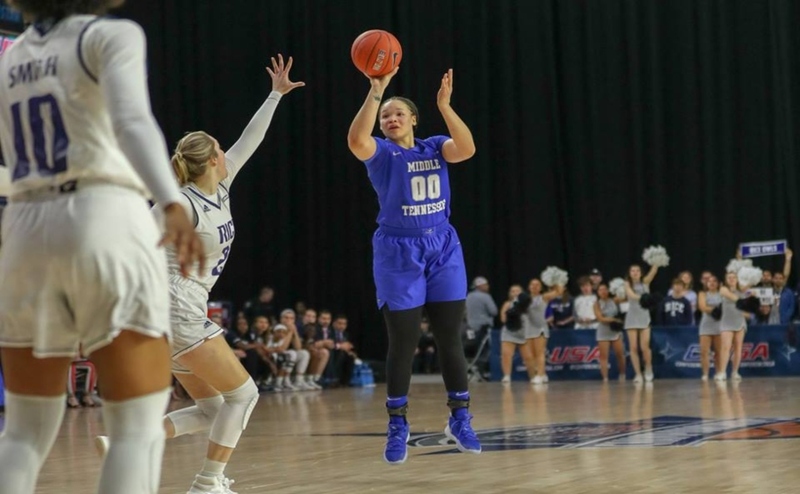 They’re an easy club to coach, they get along well, they play hard, they shoot the ball extremely well, and they’re pretty smart,” Insell said. Preseason All-C-USA selections Ty Petty and Alex Johnson were able to sit most of the second half. They both, however, still made dents in the stat sheet. Johnson went 6-of-7 from the floor and also from the free throw line en route to a 18-point night. Petty finished the night 13 points and a near double-double with eight assists. One Lady Raider who did have a double-double was Gabby Lyons. The forward ended the night with ten points to go along with 14 rebounds. The Lady Raiders begin regular season play Nov. 11 when they take on the Virginia Cavaliers in Charlottesville. Game time is set for 6 p.m.